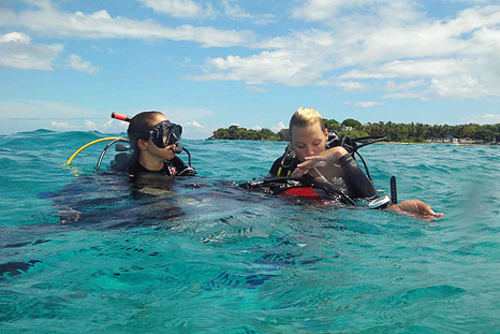 PADI Career Development Center and PADI IDC facility offering environmental, scuba, marine, technical, Divemaster and Instructor training in Utila, one of the Bay Islands of Honduras in the Caribbean. 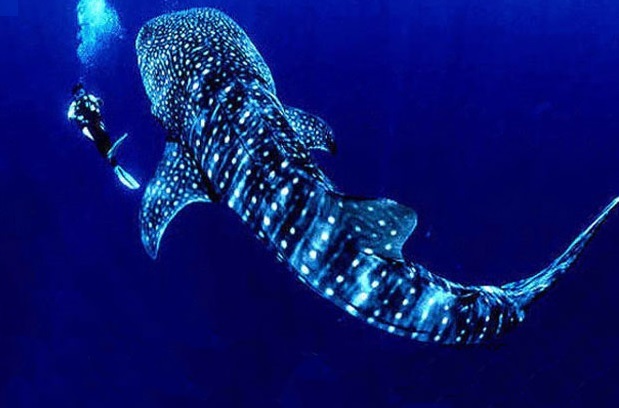 Utila Dive Center was created in 1991 as an adventure diving outpost, located in Utila, the smallest and least developed of the Bay Islands of Honduras. 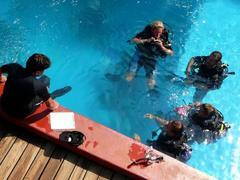 Today, the Centre is owned and operated by a team of young instructors and diving enthusiasts. Utila Dive Center was the first dive school and dedicated full service facility in Utila and after years of growth and hard work, Utila Dive Center is now a PADI 5 Star Resort and Career Development Center, a National Geographic Dive Center, and the first and only DSAT and IANTD Technical Diving facility in Central America. Currently we are the most awarded PADI Instructor training facility and Career Development Center in Utila, Honduras and Central America. We have received over 10 certificates of excellence from PADI in the last few years due to the quality and innovation of our PADI IDC's conducted on Utila and the standard of the PADI Instructors that we train, this is reflected in the fact that all those who choose to stay in Central America and work in the dive industry are rewarded with employment. Come and join us for your professional dive training and discover the excitement and adventure of taking your training with the most rated PADI Career Development Center in Central America. El mejor lugar para bucear! Los mejores instructores, muy buen equipo y excelentes lugares para bucear, 100% recomendado, una experiencia inolvidable que toda persona debe experimentar. I did open water and advanced open water at UDC. I had one the best experiences there, and met great people. I totally recommend it! You’ll have a great moment!! My husband and I wanted to check scuba diving off our bucket list, and my internet research brought me to the UDC. We couldn't be happier that we chose to get our open water certs here!! The entire dive center welcomed us and shared their enthusiasm for diving. Our instructors were patient and assured us that safety was of the utmost priority. Though we'll both admit that we were somewhat scared and even considered bailing, we are so glad we stuck through the program. Our instructors made sure everyone was comfortable and would spend extra time with those who needed help learning skills. 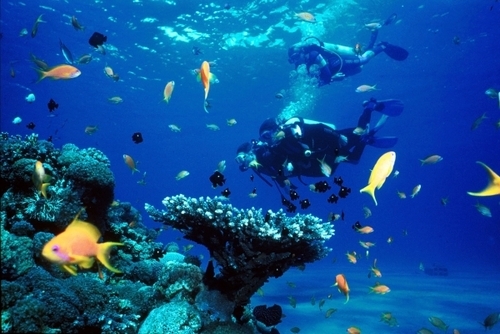 If you're thinking of trying scuba diving, don't hesitate - sign up here for your Open Water certification. It was a surreal, other worldly experience. 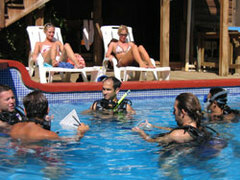 The UDC has an incredible location and is one of the most affordable dive shops in the world. 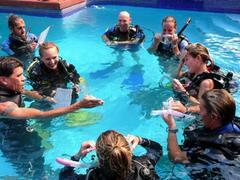 We felt totally safe and completely trusted our instructors. 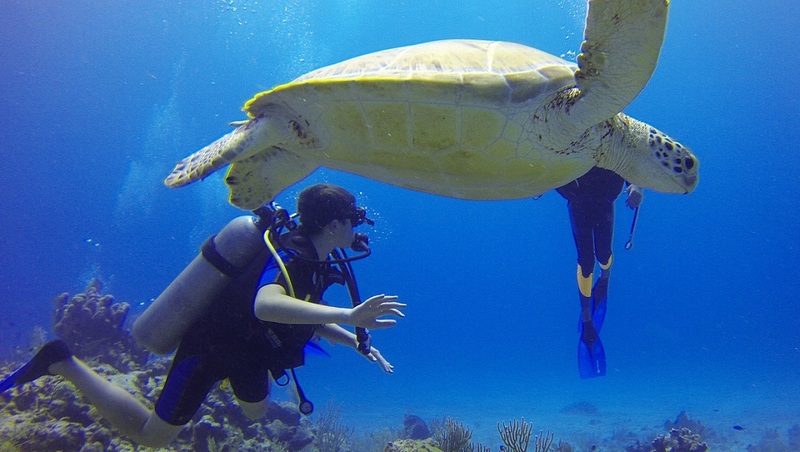 We've been on a lot of adventures, and scuba diving was one of the most unique one to date, a nearly indescribable experience. UDC helped make it unforgettable. Amazing staff and they keep their equipment clean and up to date. Would recommend everytime! The staff at UDC made me feel super comfortable. 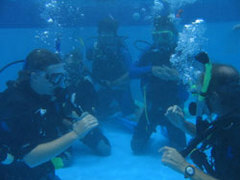 I had a great time under water and we had excellent guides. thank you UDC!!! UDC the best dive center ever! I did my DMT at UDC this summer and I hade the best time of my life. I wish I could do it again. So I can gladly recommend UDC. I've been to UDC in 2015. I did 10 fun dives while my friends were doing their Open water and Advanced course. Amazing dive sites, seen lots of morray eels and rays. 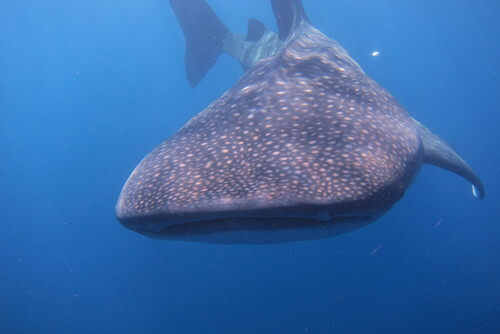 No whaleshark :( Equipment was in good condition. 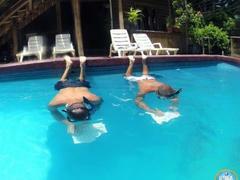 Nice divemasters. 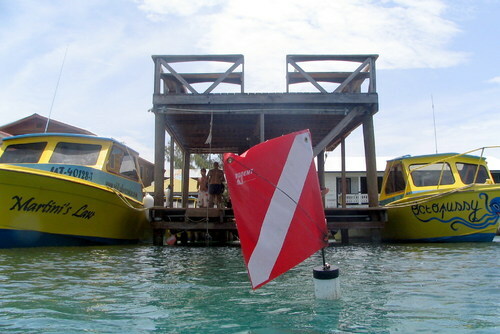 The vibe at the dive center was awesome : chilling and jumping from the deck, kayaking, quiz nights, lionfish ceviche. It certainly was a perfect week at UDC! 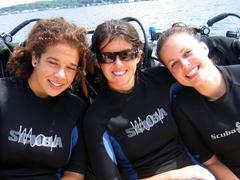 I had the time of my life doing my dive master at UDC. Love this place!!!! Best dive school! Thinking of going pro? Chose UDC! First of all - I miss you UDC! I went to UDC to do my dive master training for about 6 weeks and then head off to travel south america with a friend of mine. However I reconsidered pretty quickly, started to think of doing my IDC as well. With the help of my lovely mentor Suzy, we got me through my dmt in 2 weeks (intense and now afterwards I might’ve done it differently, but also good fun!) and I got through my instructor course after another 2 weeks. Best day of my life getting my expensive piece of Instructor - paper in my hands! I started on my msdt internship but left before completing the full internship. I’ve been instructing since on one of Koh Tao’s top dive schools soon to head over doing a season of liveaboarding - everything with a good name (UDC) behind me. They custom make your training. 2 weeks? 6 months? The dmt is your time and it’s your decision how you wanna put it up. They have 3 platinum course directors such as Andy, Suzy and Juicy. They had the most wonderful staff instructor Bryony. 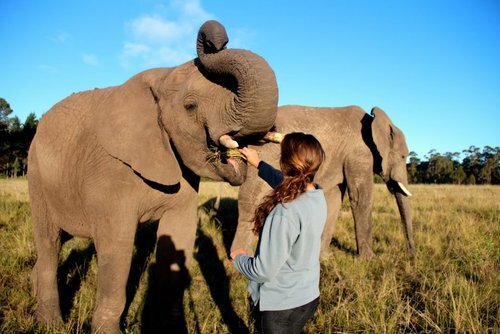 They’ve got Gemma who runs an amazing ECO program. 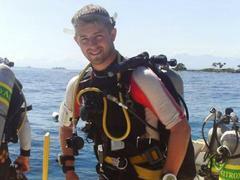 On deeper depths you also find the techy, Scott, who knows everything when it comes to tech. Who does not wanna have BBQ’s every week? A lovely little snack-place/food place/bar (Safety stop) on the dock?Lionfish ceviche? Their reputation is really good and well known, you’ll get good training for sure. Still in contact every now and then with a good bunch of the people who helped me get to where I am, and they’re still helping me out as references and giving me advices! 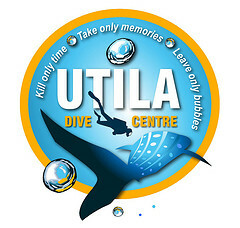 Last but not least, Utila is gonna become your second home and Utilá Dive Center your second family. I know it’s cliché buut that’s why we always say #thisisUDC! Hi USD! First of all - I miss you! It was the best few months of my life doing Divemaster and IDC in Utila Dive Center. Amazing, professional staff, great boats, equipment, study materials, structure, program. Everything perfect and top notch. Would do it over and over and over again!!! !